Bongo Comics is coming to an end after 25 years publishing comics based on The Simpsons. Bongo Comics debuted in 1993 with three titles: Simpsons Comics, Itchy & Scratchy Comics, Bartman, and Radioactive Man. Itchy & Scratchy and Bartman were canceled quickly but Radioactive Man was a miniseries and was even brought back for 9 more issues in 2001. The series chronicled different periods of the Radioactive Man series from the 1950s until its 1000th issue in 1995. Oddly, the only way Radioactive Man could've had 1000 issues is if it ran weekly for a long period of time. 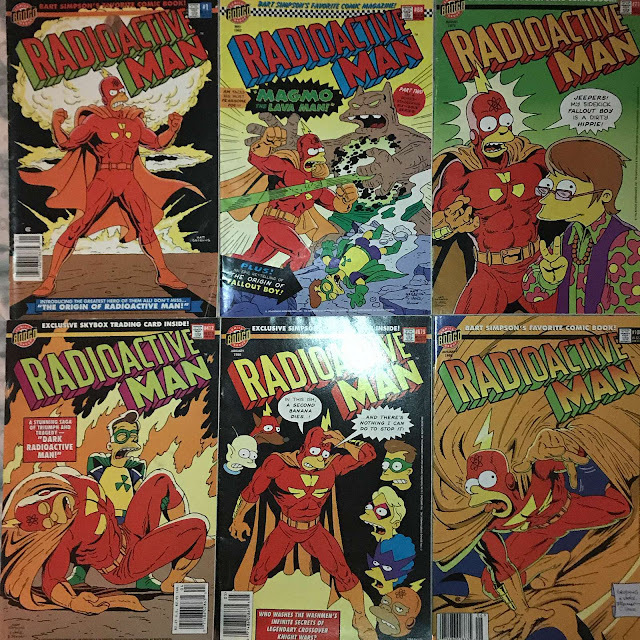 In actuality, Radioactive Man would only be at 506 issues based on the dates given for the series. The series would've had to start in 1912 for there to be 1000 issues in 1995. But enough about the math. 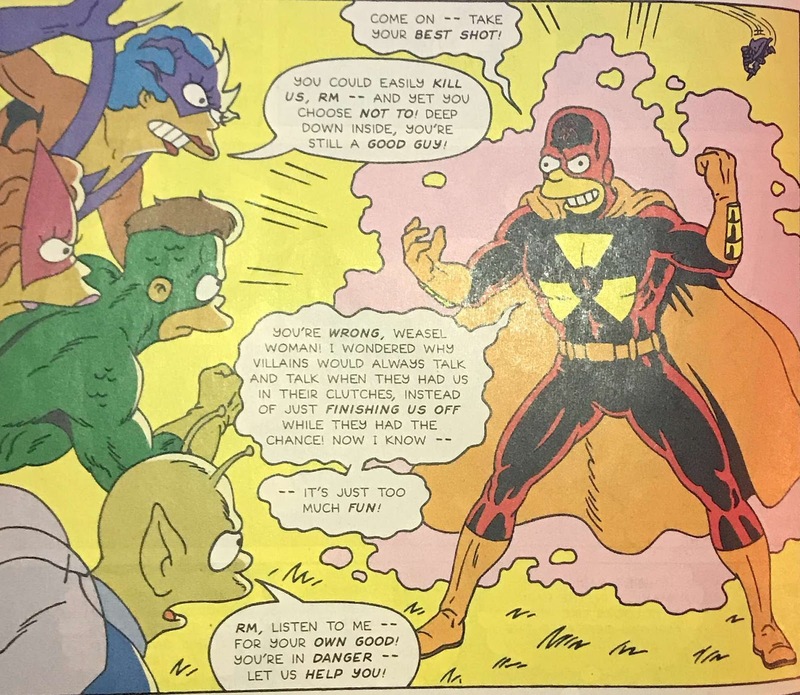 The series focused on different eras of Radioactive Man pulling tropes from both Marvel and DC. Issue 1 features the origin of Radioactive Man. Similar to The Hulk, Claude Kane is caught in a nuclear explosion which gives him superpowers and a lightning bolt-shaped piece of shrapnel in his skull. We are also introduced to RM's nemesis Dr. Crab who will be a thorn in his side for the next 999 issues. Even Lex Luthor doesn't have that kind of cache. Issue 88 (#2) features the origin of Fallout Boy though it is not his first appearance. 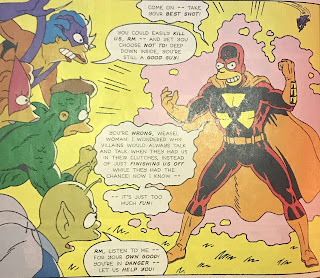 Fallout Boy's origin is similar to Spider-Man's and the artwork is reminiscent of Steve Ditko for the Fallout Boy portion and Jack Kirby's work on The Avengers for the Radioactive Man/Superior Squad portion. Issue 216 (#3) takes place in the early 1970s and touches on the counterculture aspect of comics at that time. The issue parodies stories that were found in Green Lantern/Green Arrow by Denny O'Neil and Neal Adams but also the odd "hippie" series like Prez, Shade the Changing Man, and Brother Power the Geek. There is also some Jim Steranko thrown in as well. Issue 412 (#4) parodies one of the most famous covers in history, Crisis On Infinite Earths #8. While not a parody of that company-wide, continuity-changing crossover, this issue does touch on companies killing off heroes just to bring them back in a darker form. Dr. Crab is finally able to rid himself of RM. 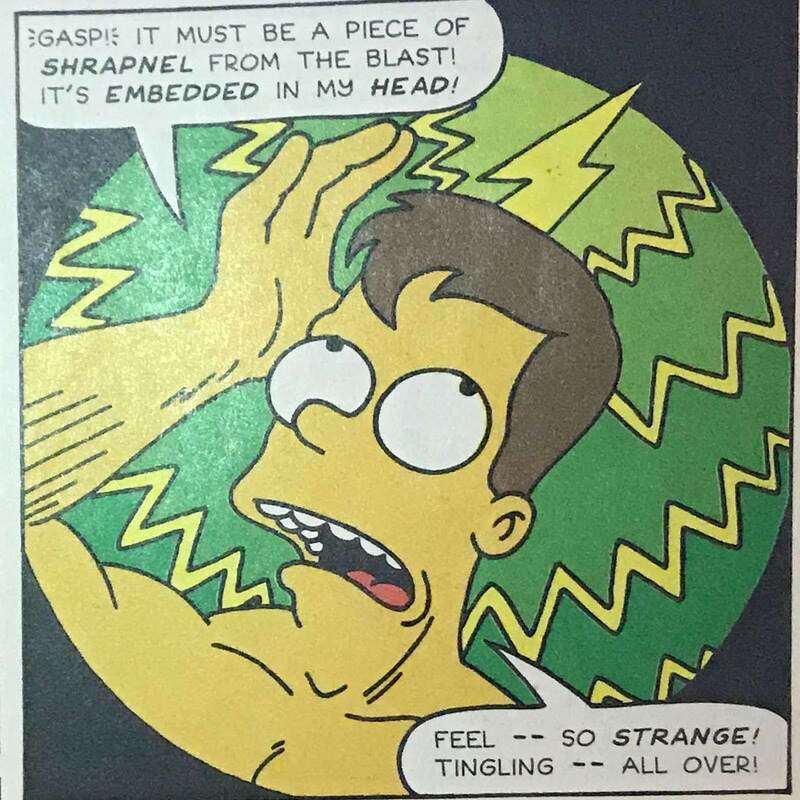 Fallout Boy removes the lightning bolt shrapnel from RM's skull which triggers a change into him becoming Dark Radioactive Man. Despite defeating Dr. Crab, Dark Radioactive Man is now evil and only that piece of shrapnel can stop him. Issue 679 (#5) parodies Watchmen and The Dark Knight Returns. 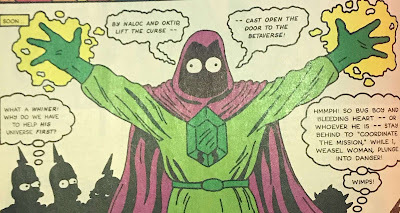 The story tries to be more realistic as comics tried to be in the 1980s but there is also a parody of Crisis On Infinite Earths with different realities needing to be saved. 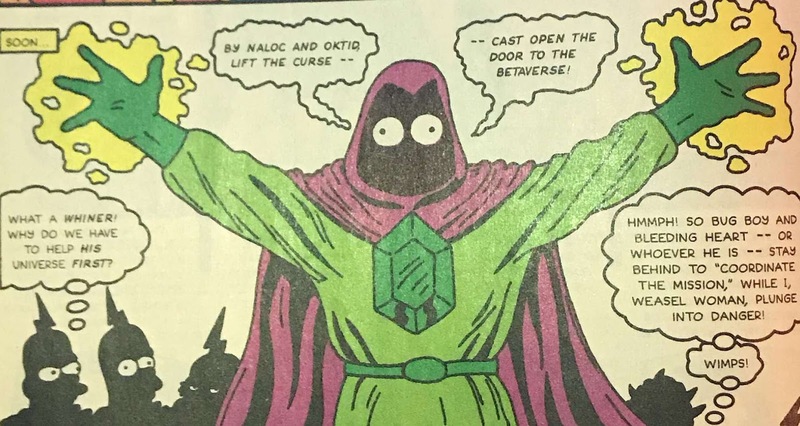 There is also more Kirby mimicked. Finally in Issue 1000 (#6), we get to the grimy 90s. 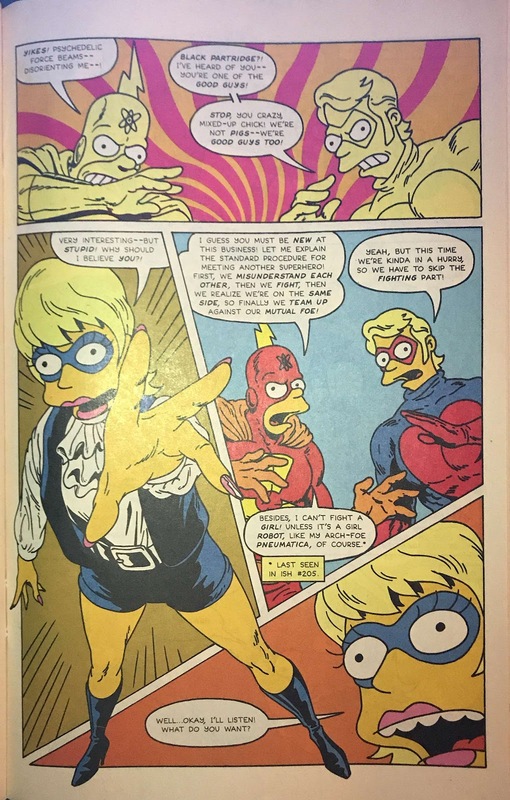 Using storytelling techniques popularized by the guys at Image Comics, Radioactive Man faces off against Dr. Crab again. 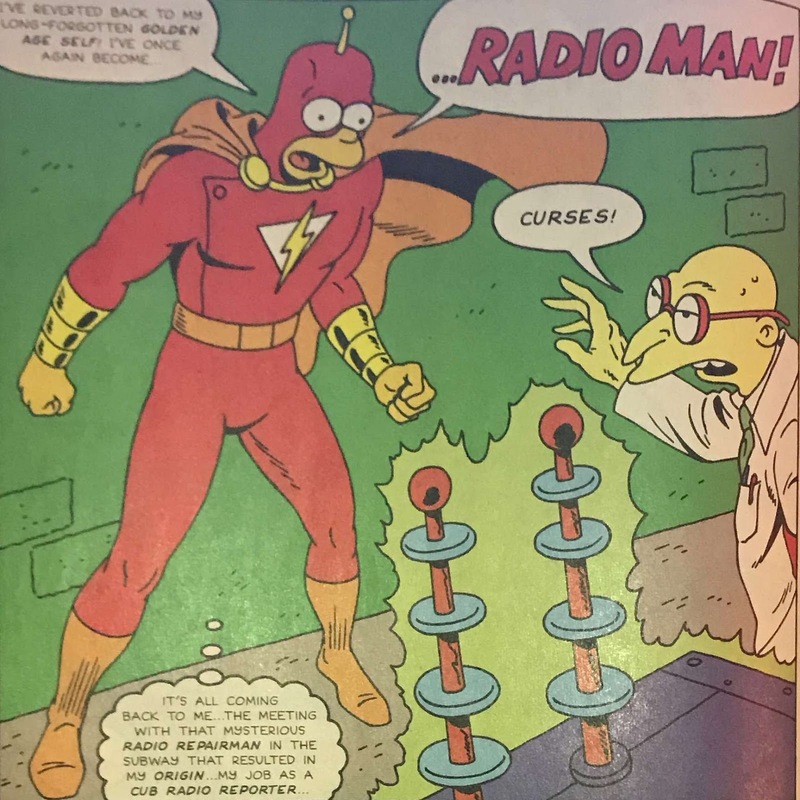 During the battle we are introduced to Radioactive Man's previous form--Radio Man. Radio Man is able to stop both Dr. Crab and Radioactive Worm, a worm exposed to the same nuclear explosion as Radioactive Man, but as with all comic books, there are plenty of loose ends. 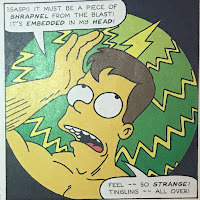 Radioactive Man was a fun experiment and Bongo should be known for that as well as Simpsons Comics but such is life. Bongo's final two comics--Simpsons Comics #245 and SpongeBob Comics #83--are due out in October. 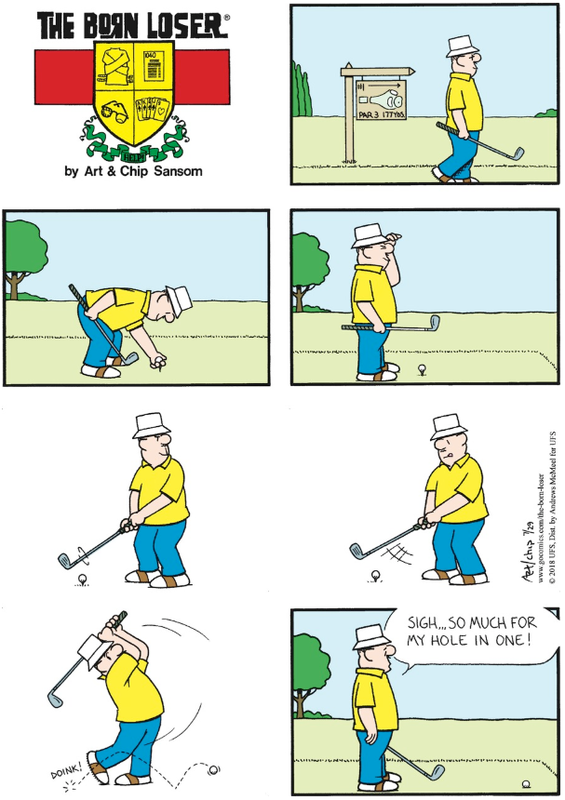 It's interesting that when Chip actually seems to spend a lot of time on a strip, the more janky it looks. Don't get me wrong, I like it. I like it much better than when it looks like the panels have been Control-C/Control-V'd. On the plus side, it's a par 3. Maybe Brutus can still make it in two.